We help you carry out your charitable wishes during your lifetime and into the future. 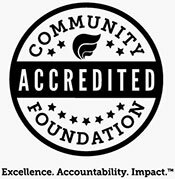 The Community Foundation of Shelby County is like a service to help you give repeatedly to causes and charities you value. You create a charitable fund with as little as $25,000 that will be invested to annually grant money to your favorite causes and valued charities. The more you place into the charitable fund, the more it can award every year to support those organizations that matter to you. Establishing a fund is easier than you think. …or you could maintain involvement of you, your family or a representative group who will recommend grant amounts and a changing list of charities. The Community Foundation of Shelby County’s role is to keep your process rolling like a well-oiled machine, following the written path you have laid out. Each charitable fund is given a name and purpose by the individuals, families, or organizations who establish it. 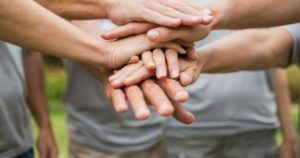 Foundation trustees and staff abide by the purpose of the charitable fund, making grants to specified causes or organizations in the name of the fund. We provide the administrative structure for funds including gift acceptance, asset investment, grant disbursement and tax filing. Most funds are intended to be perpetuating endowments, but some have a defined life span such as the completion of a community project. Template agreements are available to get the conversation started. Types of Funds, Ways to Give, Donor Resources.